Toss won by: South Africa, elected to bat first. 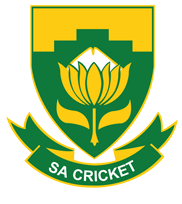 Batting: Faf du Plessis 120 off 178 balls, Dean Elgar 81 off 250 balls. Bowling: PJ Cummins 4/58 in 18 overs, Nathan Lyon 2/116 in 41 overs. Batting: Joe Burns 42* off 80 balls. Bowling: Morne Morkel 2/18 in 8 overs. 1. After a long day in the field Australia needed to get some wickets to prevent South Africa from piling up a huge lead. However, Dean Elgar and Faf du Plessis showed their class and temperament to share a massive 170-run partnership. 2. Australia gave it all on the field but they had no answer to the South African captain Faf du Plessis whose return to form allowed him to score a magnificent century. 3. Dean Elgar, on the other hand showed his defence tactics as the scored 81 of 250 balls to frustrate South Africa. Australia needed something special to get rid of these two. 4. And, that’s when Nathan Lyon and PJ Cummins struck and removed these two batsmen followed by Quinton de Kock who also became a victim of Cummins bowling. 5. South Africa declared at this point but maybe it was too late for Australia as South Africa had piled up a score of 612 runs which Australia needed to conquer to win this match and level the series. 6. It was now time for Australia to show their resilience but Morne Morkel who supposedly is playing his last test match thought otherwise as he took two wickets along with Maharaj who took one to send Australia reeling down. 7. Australia ended the day with 88 runs for the loss of 3 wickets and still needing 524 runs to win. 8. South Africa would be positive that they have secured this series and maybe this match too. Do join us on Day 5 to witness some exciting cricket.